In August, we shared more details about Alliance 2030 including its official launch at the High Level Political Forum, and the integration of our members from Canada’s 150th into our network. The country also dealt with a number of issues related to climate change and sustainability, including the forest fires out West and the uncertain future of the Trans Mountain pipeline. In September, we’re excited to host a webinar on Canada and the SDGs and announce the launch of our brand new podcast. To stay up to date, be sure to subscribe to our newsletter! We shared two more excerpts from BCCIC’s shadow report, Where Canada Stands, which highlight the importance of leaving no one behind, including Indigenous communities, in our work towards the SDGs. Learn more about the history of Alliance 2030 (formerly Alliance 150) and how our Canada 150 members can get engaged in our future-focused network. Edward Struzik from The Conversation Canada shares insights about the ongoing wildfires on the West Coast, and how they can be prevented. Also from The Conversation Canada, David Tindall writes about the recent Trans Mountain ruling and its implications for Canada. We provide an overview of our launch event at the High Level Political Forum with Parliamentary Secretary Adam Vaughan and Alliance 2030 partners. IISD shares the news that mayors from 19 cities around the world have signed the Net Zero Carbon Buildings Declaration, including 3 from Canada. UN Environment is teaming up with internet giant Google to help improve the environment through data analytics. From Energy Digital. 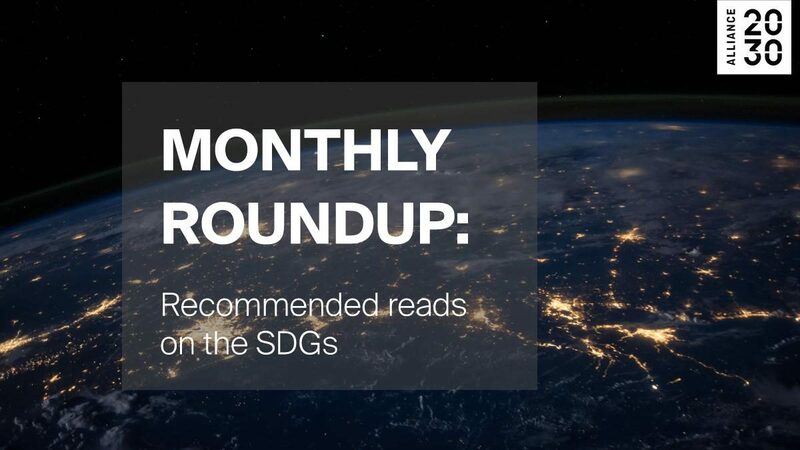 Lessons learned from the UN Development Programme, shared via Medium. The NY Times reports on the court ruling of the Trans Mountain Pipeline. Prime Minister Trudeau will be at the UN General Assembly this September to speak about funding the Sustainable Development Goals. ESDC released their first National Poverty Reduction Strategy, aligned with SDG 1. New evidence continues to signal that the number of hungry people in the world is growing, reaching 821 million in 2017 or one in every nine people. From UNICEF.